Introduction: The zero carbon building approach has been adopted in many countries and regions as a government strategy for addressing climate change. However, how stakeholders can work in partnership for delivering zero carbon buildings effectively remains a socio-technical challenge. 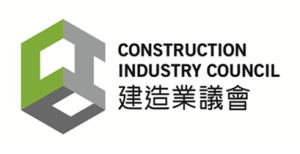 The Construction Industry Council has funded a research project being carried out by The University of Hong Kong to establish a Hong Kong Zero Carbon Partnership for enhancing public and stakeholder engagement. The project aims to help position Hong Kong as a world-class knowledge-based, innovation-driven and multi-stakeholder-engaged hub for zero carbon building in urban environments. In this research zero carbon buildings are interpreted as complex socio-technical systems that embrace zero carbon products, innovative processes and multiple stakeholders. 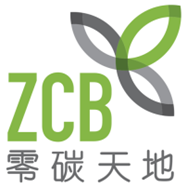 A portal will be developed with real-time measurement and monitoring of Hong Kong’s public and stakeholders’ understanding, attitude and behaviour regarding zero carbon building. This event will formally launch the Hong Kong Zero Carbon Partnership and set out the project plan. There will be a blend of local and overseas speakers at the seminar to share the state-of-the-art knowledge and practices of zero carbon building. Attending this seminar is FREE, but advanced online registration is required on the first-come first served basis via http://www.hku.hk/cicid/3_events.htm where further information is also available. For enquiry on this seminar, please contact Ms. Ruby Kwok (ppps@hku.hk, +852 2219 4986) or Dr. Wei Pan (wpan@hku.hk, +852 2859 2671) of the Department of Civil Engineering, The University of Hong Kong. Deadline of registration: 31 December 2014. 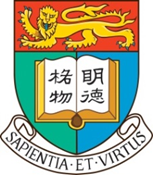 Should you be interested to join the Hong Kong Zero Carbon Partnership, please contact Dr. Wei Pan of the Department of Civil Engineering, The University of Hong Kong at wpan@hku.hk, +852 2859 2671.